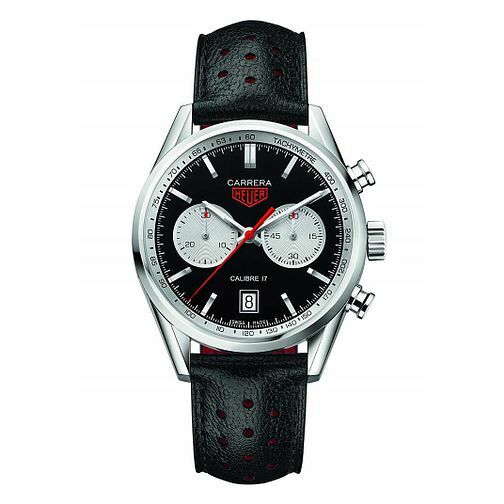 From the Carrera collection, this exquisite timepiece for him represents over fifty years of innovation. Crafted in stainless steel, this stylish watch features a black leather strap, a black dial beautifully contrasted with a bold white tachymeter bezel and sub dials, date aperture, logo branding and a scratch resistant sapphire crystal screen. TAG Heuer Carrera Men's Black Leather Strap Watch is rated 5.0 out of 5 by 2.